Last month I presented a trunk show/talk on Japanese sewing patterns to my local chapter of ASG (American Sewing Guild) . Prepping, I went through my books and picked out a few designs to whip up that would showcase some of my favorite designs. I’m always intrigued by how different Japanese patterns are from American ones. They tend to work more with the flow and structure of the fabric and often incorporate unusual details and unexpected silhouettes. Asymetry, interesting curves and subtle palettes so different from most western garments. 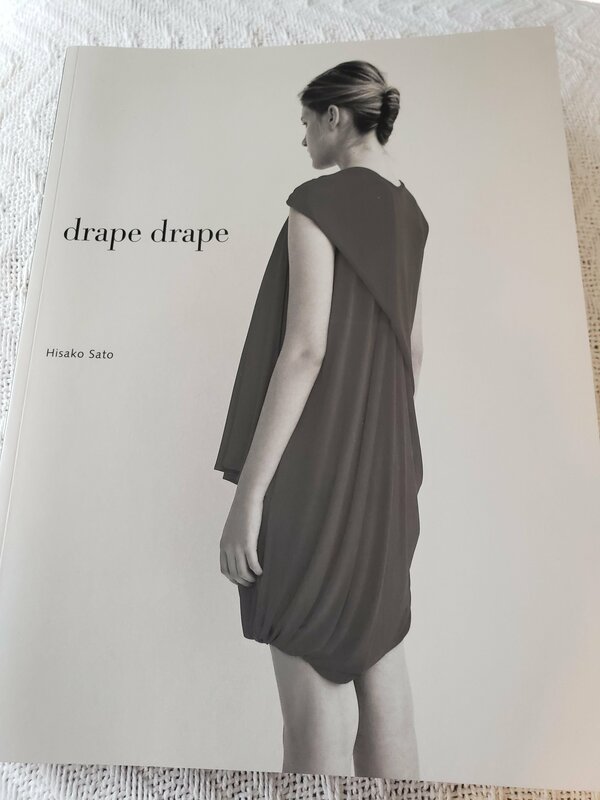 This Drape Dress with Gathered Sleeves, no. 16 in Drape Drape immediately caught my eye. 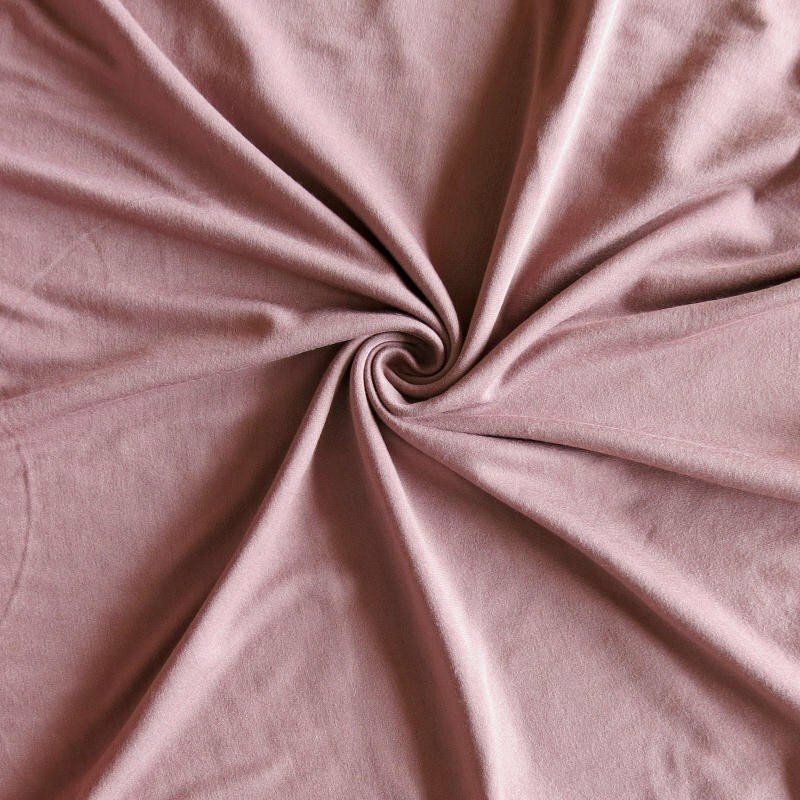 I had a bunch of yardage of a nice drapey knit I had ordered from the Fabric Fairy to fill out my order with free shipping that I couldn’t figure out what to do with. This mauve is on the browner side and not a color I typically wear but I figured that would be fine to muslin out the dress. I really wasn’t expecting much, just felt like experimenting. I love when everything comes together and works perfectly! I sized mine in the XL and could go a bit bigger as it’s a bit tight at the hips. 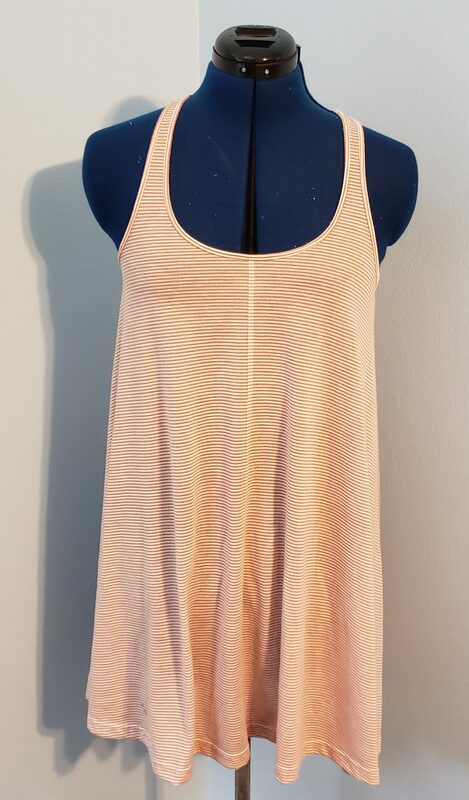 This make will mostly serve as loungewear so no big deal. Comfy light sweaters are my go to around the house when the weather cools. Always double check your measurements for sizing as Japanese patterns run small and petite. 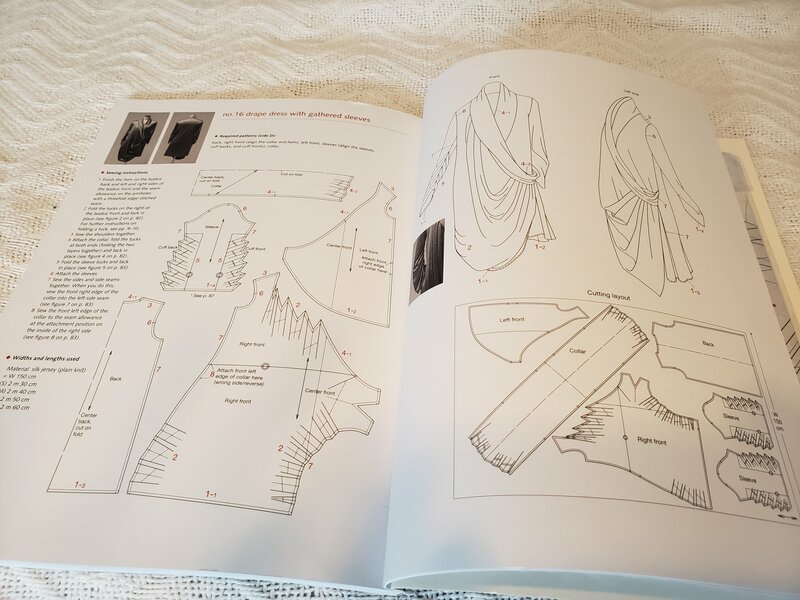 This pattern requires tracing but does include seam allowance which saves some time, especially with all the tucks and gathers in this pattern. I did mix up my pattern sides while sewing this as they’re identical so my dress opens on the opposite side which did take some thought reverse the construction sides. Note to self- mark the right side next time. The dress went together relatively quickly considering all the time consuming pleats and I did need to fuss with it quite a bit to get the drape where I wanted and try for a relatively clean interior finish. Side note…If you’re in the area, come check out our group! We’d love to have you. And if your not nearby ASG has chapters nationwide. I belong to the American Sewing Guild of Ft. Lauderdale. We have 9 community groups located in Boca Raton(Daytime and Evening Groups), Hollywood, Plantation, Stuart, Port St. Lucie, West Palm Beach, North Palm Beach, & North Broward. Our Plantation group meets the last Saturday of the Month at 1:15 pm at St. Benedict’s Church with a focus on fashion sewing. We don’t meet in November but have a Holiday Luncheon/Potluck on Dec. 8th. You can attend two group meetings as a guest before joining. We just had our Annual Luncheon and classes with guest speaker Mary McCarthy last weekend which was amazing! I loved the class on Bias Design and Mary had some wonderful design, fit and general sewing tips. So wonderful spending time with such a fabulous group of ladies with such a wealth of experience and talent. Come join us! So back to this dress! I didn’t have quite enough yardage to make this so I pieced the collar and then used another selvedged fabric to line the neck. I kinda like that pop of pattern to change up the look. I think this might be nice in contrast solids too or even a patchwork of knits. All in all I just love this make. It’s quite flattering and very comfortable. Again, a color I didn’t expect to like on me looks fab. I need to maybe take a few more risks in my sewing and try out some different colors. I have a few more new makes using Japanese patterns to show off next week. If you’d like to view some of the other Japanese Patterns I’ve made you can view them all here (link). Happy Sewing! Thanks for sharing your skills and love of sewing. Your enthusiasm is contagious and seeing your creations on a real body makes me believe it’s “ doable “. Now I need a few YARDS of energy !!! Shirley. ASG member Plantation Grp. This is a beautiful dress – I love the way it drapes from the cross-over. Can’t say I’ve seen another Drape drape no 16 out there. Looks like a bit of a fabric hog though with all those pleats! Thanks! I really love the drape too. Its not too bad yardage wise considering. I had 2 yds to work with but it probably really needs 3.